InterNations Calgary Official March Green Event!! 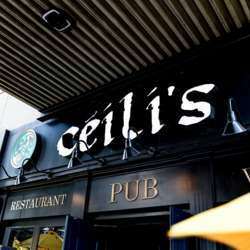 Join us at Ceili's to mix, mingle and network! If the St.Patrick celebration is still within you, please feel free to wear something green. Free street parking after 6. You're welcome to bring friends and colleagues, just have them sign up here first by clicking on the ‘BRING FRIENDS’ button at the top of this event page. Please note online registration will close two hours prior to the event start time - so make sure you sign up early. *Reminder: we can only accept cash at our events so please come prepared.